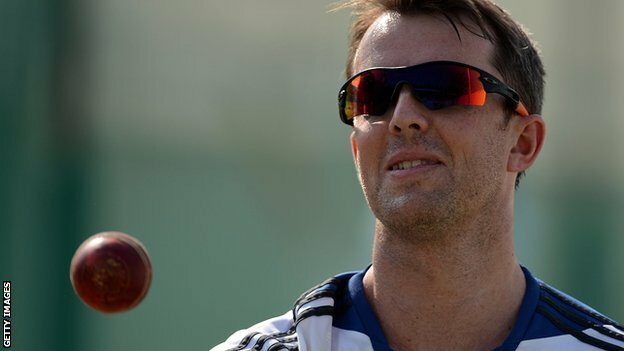 Graeme Swann wants England to seal a Test series win in India for the first time in 27 years so that their ‘magnificent’ victories are not wasted. England have won the last two Tests to take a 2-1 lead going into the fourth and final Test on Thursday. “I’m sure I’ll look back with a great deal of pride on how we won the last two games,” said Swann. England went 1-0 down after losing the first Test but have responded with two convincing wins against the hosts. England last won a Test series in India when they claimed a 2-1 victory under David Gower’s captaincy in 1984/1985. The achievement of the current side is highlighted by the hosts last losing a series on home soil in the longer format of the game back in 2004, when they were beaten by Australia. Since then, captain Mahendra Singh Dhoni’s side have won 10 out of 14 Test series in India. However, Dhoni has been criticised after his side’s last two losses and has made three changes to the squad for the next game in Nagpur. Swann and fellow spinner Monty Panesar have spearheaded England’s attack and will be hoping to pile more misery on India’s faltering batsmen. “At different stages of the game you certainly know an opposition’s under pressure,” said Swann. “The other day [in the third Test] when we were taking those quick wickets in a mad hour, you can feel the pressure you’re creating and you can see it on the faces of the Indian batsmen. “That’s all about getting into the right position in the game where you know the other team’s under the pump. “But when they walk out to bat here on the first morning they’ll have a packed house here screaming every shot they play, just as they have had in the three Test matches so far.